There are things about Maine that you may not appreciate being born and living there all your life. 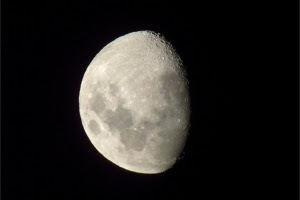 As I recall summers back in the 1950’s, and late night childhood moon gazing, adventures as an adult come to mind. Sometimes you need to step away from something to fully realize just how precious some things are. I think a scowling woman with her hands on her hips while tapping her toe is really precious. If they didn’t care you wouldn’t get punched in the shoulder, they’d spin around and stomp off, and in the end you’d miss that icy stare and “the look”. Now, let’s get back to being a kid. When I was young, summertime nights as youngsters in Maine were filled with simple pleasures like evenings crawling around in goldenrod fields, playing hide ‘n’ seek, or simply lying on your back and looking up at the moon and stars. At age 9 back in 1958 I could not imagine Neil Armstrong walking on the moon a decade later. It was enough then to just stare and wonder if the moon was really made out of cheese. What did I learn later as an adult that gives me an appreciation for those summer nights and the great outdoors in Maine? There are no poisonous snakes or other vicious critters to worry about when crawling around or frolicking about in the little world of that small rural town. Note: (to self) I may write about mosquitoes and blackflies in another story. I guess there are exceptions.